This kit was designed by Amanda's grandmother, who learned knitting while at Middlebury College. 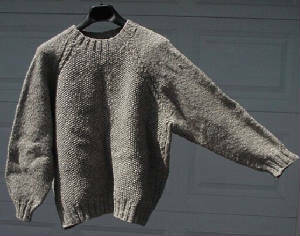 It is shown in Nantucket Mist yarn, a Worsted Weight yarn. Available in Nantucket Mist, Sheep's Grey, Lamb's White, Norwich Rose, and Purple Heather.